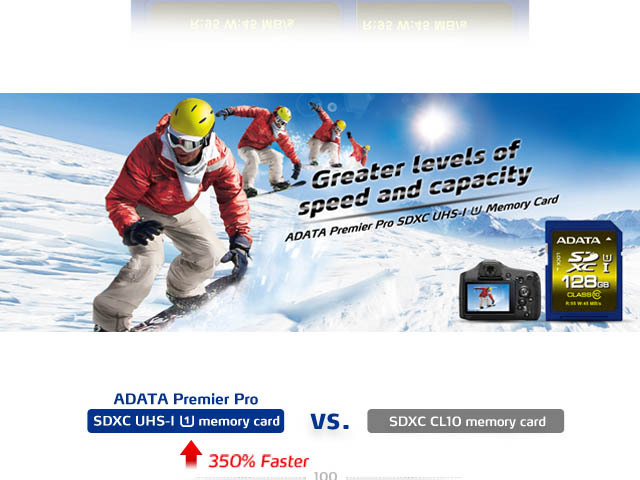 Premier Pro Series SDXC/SDHC memory cards meet the latest SD 3.0 specification for Ultra High Speed (UHS-I) transfer, with read / write speeds up to 95 and 45 MB per second. The high-speed read and write optimizes work for professional photographers, and allows for the enjoyment of full burst mode shooting. 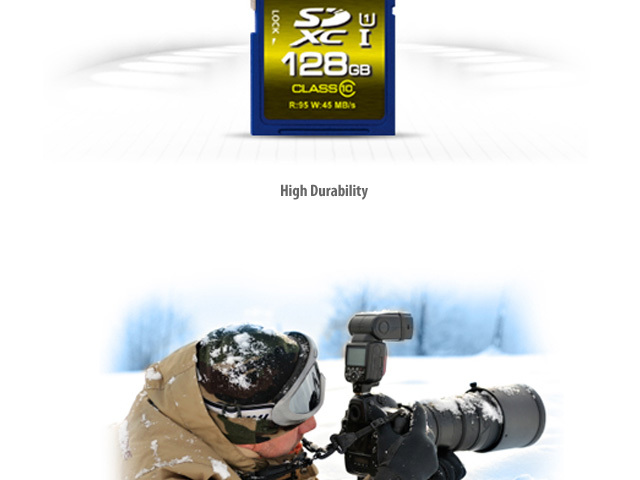 This solid, high efficiency, reliable and durable memory card is meets the stringent demands of professional photographers, and those who just love high-speed photography. 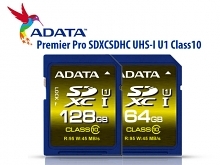 Premier Pro SDXC/SDHC UHS-I U1 Class 10 VS. SDHC Class 10 Super Comparison - Premier Pro SDXC UHS-I U1 128GB and SDHC UHS-I U1 64GB capacity memory cards have high speed read/write rates: 95/45 MB/second, which is 350% faster than general Class 10 memory card. The high speed fully meets the high demands of photography experts in high-speed continuous shooting and Full HD video recording. 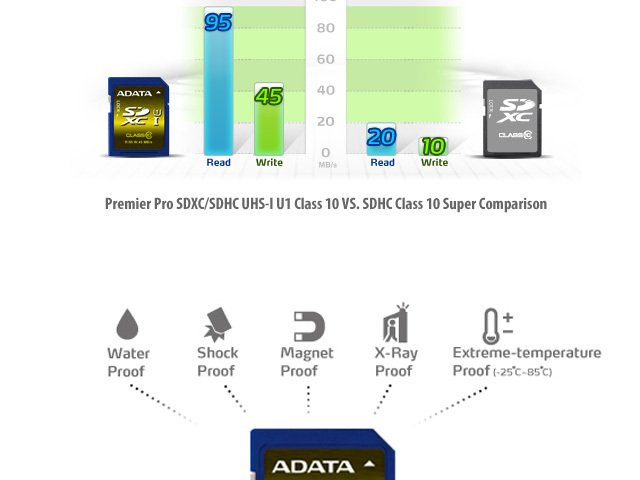 High Durability - This remarkable transfer performance is combined with higher degrees of data protection, including: X-ray proof construction, resistance to extreme temperatures, error correcting code (ECC) and write-switch protection functions. 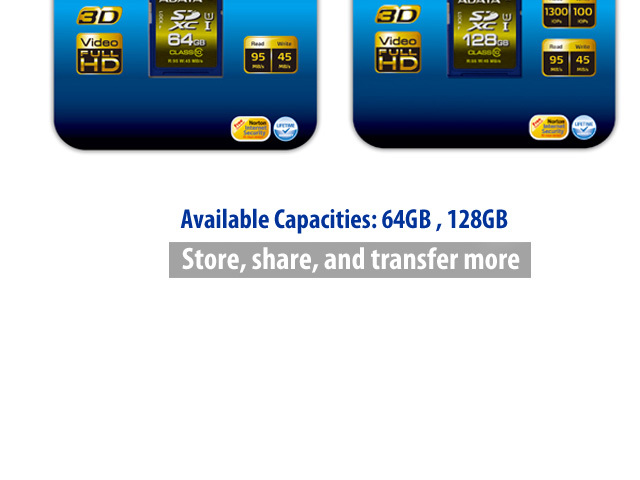 High Capacity - Premier Pro SDHC UHS-I memory cards are offered in 128GB capacity. 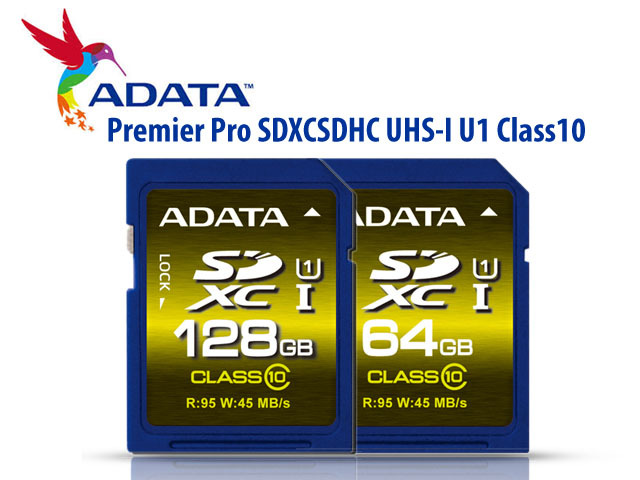 Premier Pro SDXC UHS-I U1 memory card have capacity up to 128GB, eliminating the need for changing the card during shooting. 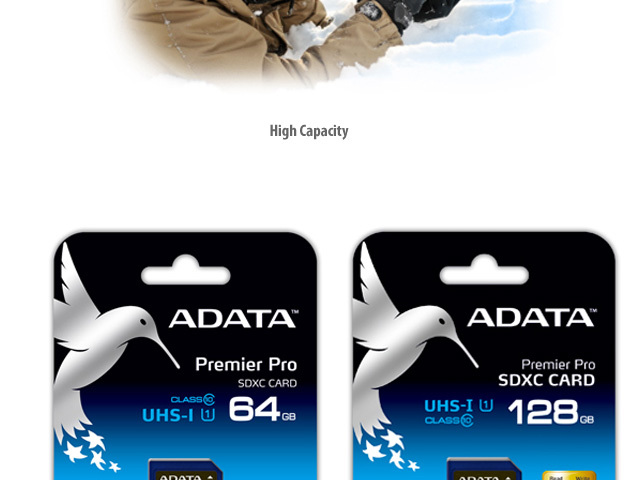 This allows for long-term use by professional photographers without worries about data loss, noise, or the need to lower the resolution of shot media.